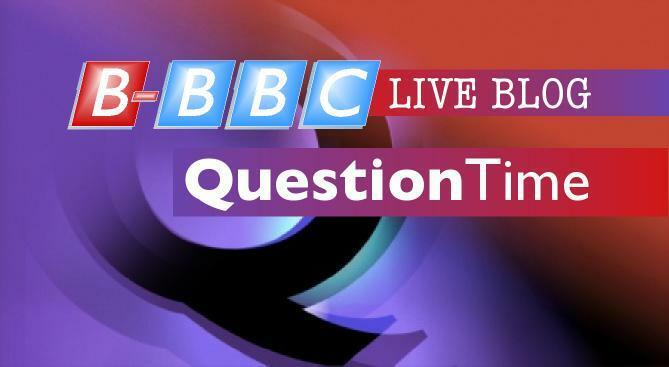 On the Question Time panel from the LibDem conference in Birmingham tonight we have the increasingly senile Vince Cable, Priti Patel, Harriet Harman, Private Eye editor Ian Hislop and Justine Roberts from Mumsnet (married to Ian Katz, deputy editor of The Guardian). What a bunch. God help us. I shan’t be watching, though I’m pleased others on this blog are able to withstand the detrimental effects on their health in doing so. thanks David – I wondered why Mumsnet was so obvioulsy anti-Conservative – now I know why. Any chance of a new Open Thread, since the last has disappeared beneath the waves. But, but… Ms. Roberts was simply billed on Newsnight a while ago as a ‘Mum’ like all the rest of this fair isle’s noble progeny-producers. You mean… she’s actually simply also up the corporate fundament so far she can tickle Helen Boaden’s toes as she tickles Nick R’s tummy? Next we’ll learn that far from speaking for the country as a whole, it’s speaking to it trying to dig a deeper one. How she is introduced will be interesting. 5 left and 1 right. Normal mix. Not right-wing but right-of-centre. Priti Patel from the Conservative back-benches. They rarely have a top minister these days. Hislop is a little more to the centre, but Cable, Har and Dimbleby are from the hard left as I guess is the Roberts woman as she is married to a Guardian comrade. QT wouldn’t work if there was more than one right winger on the panel. The baying mob, sorry, the audience, would be apoplectic the whole time and Dimbleby would be too busy interupting the right wing panelists to control the show. Harriet Bloody Harman is going to make me want to brick the TV. Oh to have a panel of Politicians that espouse Christian common sense views! Not in my lifetime I’ll bet. Include David Vance on that panel and…well…perfection. All we need that Guardianista, a bloody voice of the “oh so nice”mumsy nation. That drivelling bint, from mums(who have nothing better to do) net. Surely the more aware beeboids must realise QT is well overdue scrapping. Who on earth is going to waste time listening to a panel like this one? I saw it briefly only to watch Harman come in with more of her Pol Potesque Year Zero interpretation of events. In it she made a claim that under Labour before the recession they reduced public spending as a percentage of GDP from something like 43% down to 38%. I found this odd because it isn’t something they were trumpteting whilst in office and nor is it something they’ve been trumpteting with their incessant too deep too fast mantra, with Balls currently running with his need for more spending mantra. If it isn’t something they’re trumpteting in the mainstream, why do it on QT? It all comes down to the fact that for Harman, like Balls, the Alinskyite priniciple of the war is everything is in play here. Its Kalashnikov politics whereby any weapon that will defeat your enemy in the here and now is to be used, regardless of whether it doesn’t hold water long term. Harman can do this on QT because it has become a farce o a programme. She won’t get challenged in an audience overloaded with left wing clapping seals. The predominantly left wing panel will keep schtum and we saw this last night with the only one willing to fire a barb at her was Hislop. Harman is perfect for labour today for all that we might despise what she and her ilk have done and the venom she contains. She can sit there and bend a truth to breaking point or totally ignore all contrary evidence if it suits her. The truth matters not to her if it doesn’t suit her argument and she can plough on regrdless. Back to her claim though about GDP just before the recession altered course for them. As I say, I found it odd that it’s not something that they trumpet or any other commentator from the left makes a deal of so what is it about. The only point in the Labour rule that this figure is falling (in order to fit her claim) is between 1997 -1999. From then on it continues to grow, pretty much year on year. But take another look. By 1997 it was already under 40% as part of a trend that commenced in 1992 under the Tories. So in their typical revisionist approach to the history of their time in govt, Harman has piggy backed a Conservative success and claimed it as her own, safe in the knowledge that she won’t get held to account on it. Just like Brown taking credit for X quarters of continual growth, the first four years of which were TORY years. All he did was take their momentum, strangle it and when it started to die in 2001, he borrowed growth (without oversight by the Bank of England, because Brown had taken away their power) until the whole mountain of debt was exploded by the credit crunch. Running a deficit during an economic boom is economic insanity. Running a deficit in a boom caused by excessive borrowing, rather than productivity and exports, is doubly so.